Front and back images are reversed in the aviation category. 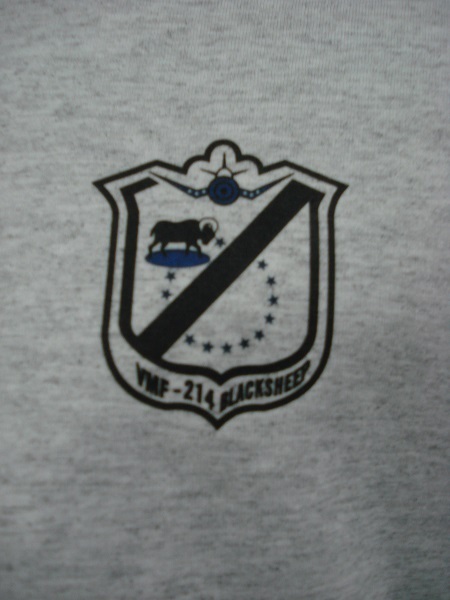 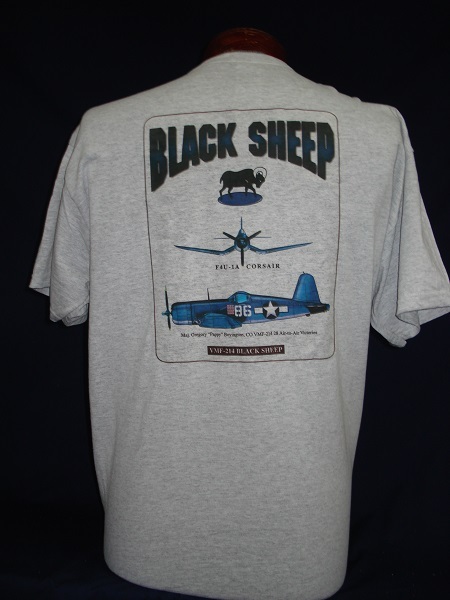 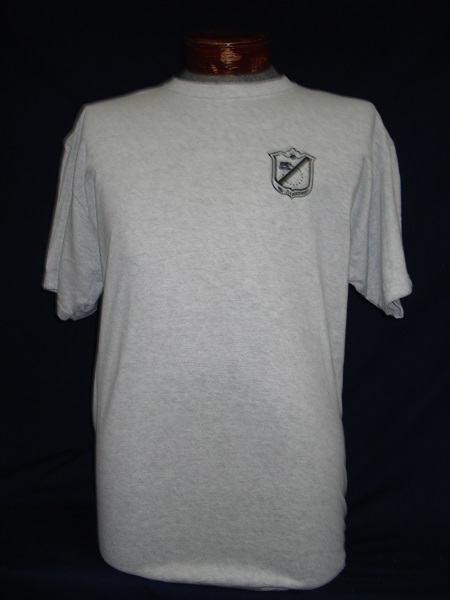 Front Left Chest: VMF-214 Badge. 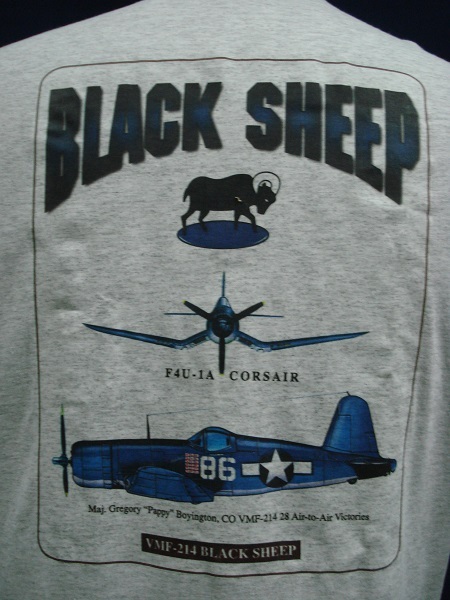 Back: Maj. Gregory "Pappy Boyington's F4U-1A Corsair.